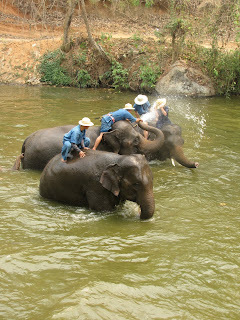 Chiang Mai, Thailand, is known for its elephants, tigers, resorts, parasols, temples, hill tribes and mountains. So what's in it for Levelers? All of the above and more. 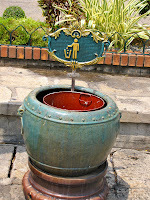 Start with Chiang Mai which means "new city" despite its being 700 years old. Once capital of the Lanna ("a million rice fields") Kingdom and center of Buddhism in Northern Thailand it is now the country's second largest. For many years it was accessible only by river or elephant. A railway line wasn't finished until the late 1920's. Tip: Arriving by plane today is a breeze. Although you will have to walk down the stairway and across the tarmac, the airport is blissfully small and no long hikes are required to get from the plane to your luggage to a car and driver. A short drive gets you to the heart of Chiang Mai. The city is in a river valley and thus flat, though ground and pavement are often uneven. Stop before you gawk. 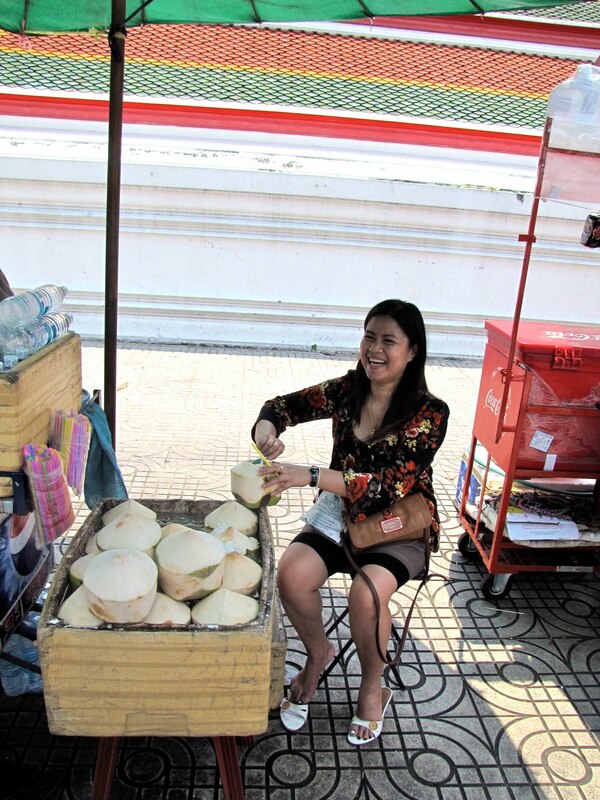 English is not as prevalent as in Bangkok but you won't have much trouble getting around. 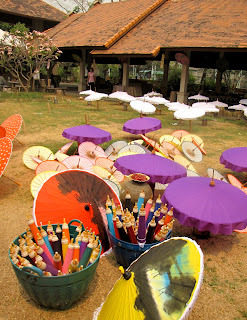 Most visitors come via tours or book them once they arrive and prices are reasonable. 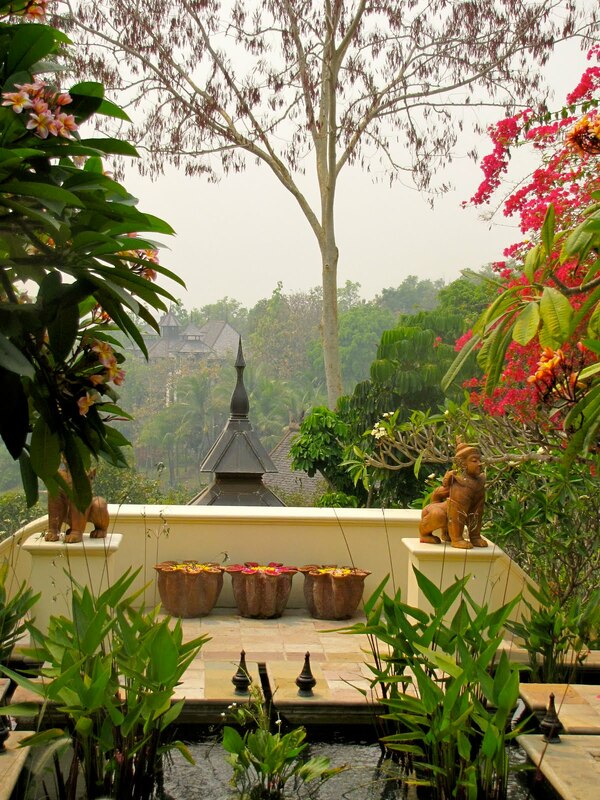 They range from small, no stars but clean to elegant, architecturally dramatic resorts. I stayed at the beautiful Shangri-La which is in the heart of the city with an ATM across the street and the popular night market three blocks away. Also downtown is the RarinJinda Wellness Spa Resort with a delightful wellness spa and elevators to facilitate going from one floor to another. Warning: The Ratilanna Hotel has a lovely spot on the river as well as a spa and a huge pool but I can't recommend it to Levelers because of the many sets of stairs. 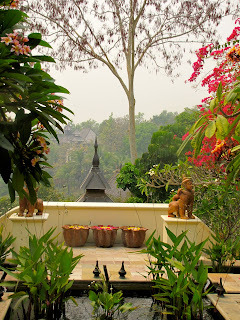 Also afflicted with stairs is the Four Seasons Resort outside of Chiang Mai but the ambiance and the cooking school are worth the effort (20 steps to the stairs). Wherever you stay, there are a variety of fascinating and nearby side trips to take. 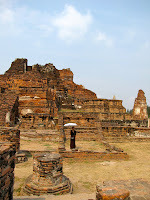 Don't miss the main temples, most within easy and flat walking distance from the market (which you also do not want to miss; very photogenic)). It's easy to appreciate the devotion to detail in these interesting structures and to photograph it because they are blissfully free of tourist throngs. 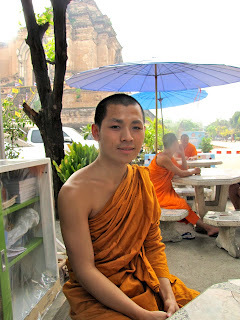 After you have toured the most interesting temples - and there are many - find out what a Buddhist monk's life is like and why it's chosen at the Lanna Campus of Mahamakut Buddhist University. The innovative program Monk Chat allows visitors to meet young monks and learn about their religion and practices while giving the young men an opportunity to practice and improve their English. I spent about 20 minutes talking to Psra Sam, a young novice, about his background and activities, a very interesting experience. Warning: Novices and monks are not allowed to be touched by any female so be careful. No hugs or handshakes from normally demonstrative Americans please. 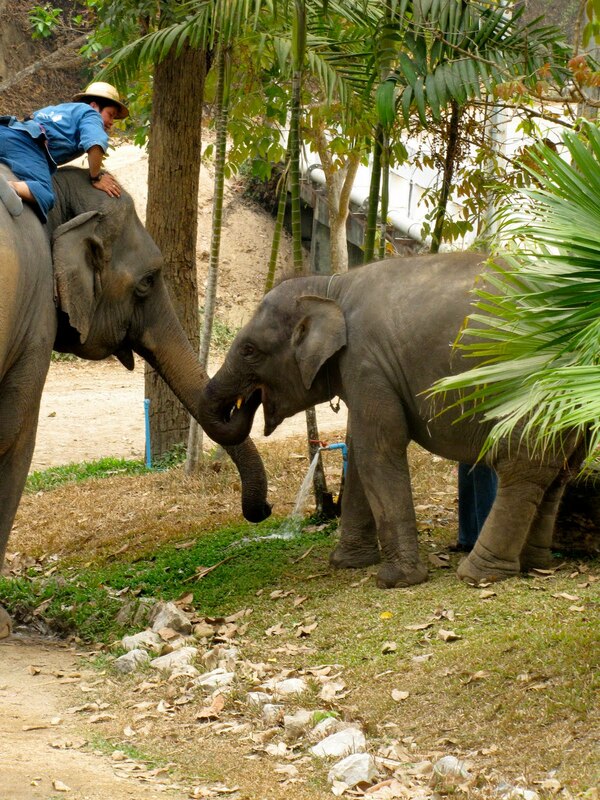 I dare you to visit The National Thai Elephant Conservation Center and not fall in love with these remarkable beings. I say beings because their actions and emotions so often mirror our own. Take a ride, watch them swim and play in the lake, paint pictures that you can purchase, show off their logging skills and see how elephant poo paper is made. No joke. It's neat - and sanitary - stuff! Tip: There are several opportunities in the Chiang Mai area to get up close and personal with elephants, but I recommend this one. It is less touristy, your money goes to support responsible practices and the experience is far superior to the tourist traps most tours favor. 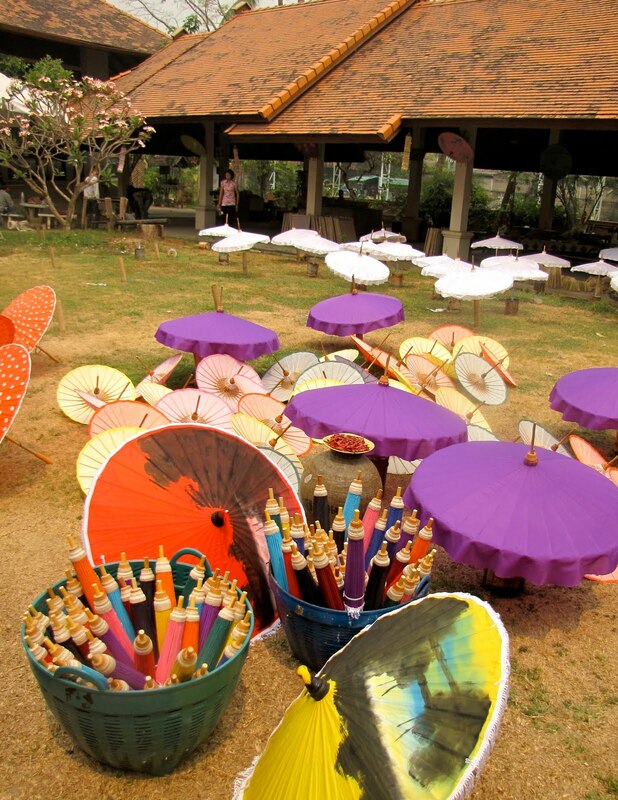 Photographers will have a field day Bor Sang, known to all as Parasol Village, because that's the major product. Either as a cottage industry supplying the basic structures or in a "factory," where the finished products are created in an assembly line or sorts, the colorful images are addictive to picture takers. Who knew how complex these familiar objects could be? 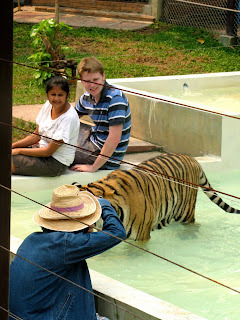 Then we lunched at Tiger Kingdom where visitors can pet tigers and have fish eat their feet. No joke. We drive in, walk up some stairs to the main building and its restaurant and there are enclosures separated by electrified wires. Inside are tigers - sleeping, wading in a pool, using a huge tree trunk as a scratching post - and people, tourists posing with the tigers and photographers taking their pictures. Does the phrase Siegfried and Roy come to your mind? It did to mine. I know big cats, like a lot of smaller ones, sleep about 18 hours a day and when well fed don't bother to hunt, but I had to wonder what kind of lotus blossoms these felines were fed. There's a sliding scale of cost - about $10 to go inside with the tigers for 15 minutes to about $28 to have a professional photographer take 50-100 shots to record your interactions with the beasts and download them to a CD - if you're interested. Then there are the flesh-eating fish. Fish "spas" are the big thing in Chiang Mai these days. You sit on a bench and put your feet into tanks of the garra species of what look like minnows that procede to nibble away the dead skin and, according to the hype, rejuvenate the skin and make healthier, happier feet. This costs about $5. My pals and I resisted temptation but one colleague tried it later at the night market and said it was great. Good for him. I couldn't keep Siegfried and Roy from flashing through my consciousness. Here are the latest travel deals for two good Leveler destinations, Amelia Island, Florida, and the U. S. Virgin Islands. Family packages, couples' escapes, even a scrapbooking getaway are up for grabs. Be impulsive or at least commit. Stay at the all inclusive Wyndham Sugar Bay Resort on St. Thomas now through May 10 and they'll discount your room by up to 60 percent! That means resort or bay view rooms are $168-$194 a night. Children under 17 stay free and you can add another person for an additional $40. 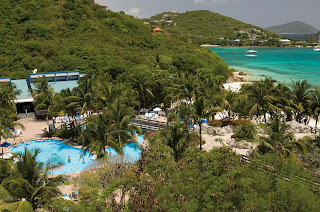 Book a stay at Wyndham Sugar Bay Resort by May 31 for travel any time through August 22 and save up to 48 percent. Call 888-582-9104. Spring and summer specials are also being posted for Amelia Island, consistently voted one of the Top 10 North American Islands by readers of Conde Nast Traveler. The oceanfront Ritz-Carlton, Amelia Island offers the "Family Fun" package, a two-night stay, welcome snack basket, breakfast for four each morning, two half-day Ritz Kids' sessions, a one-day bicycle rental, family picnic for four, family movie night with snacks and valet parking starting at $781 through Sept. 7. Then there's the "Fairways and Greens" - one night, breakfast for two and up to two rounds of golf and greens fees starting at $469. The "Bed & Breakfast" is just that for two with valet parking for $229 a night. 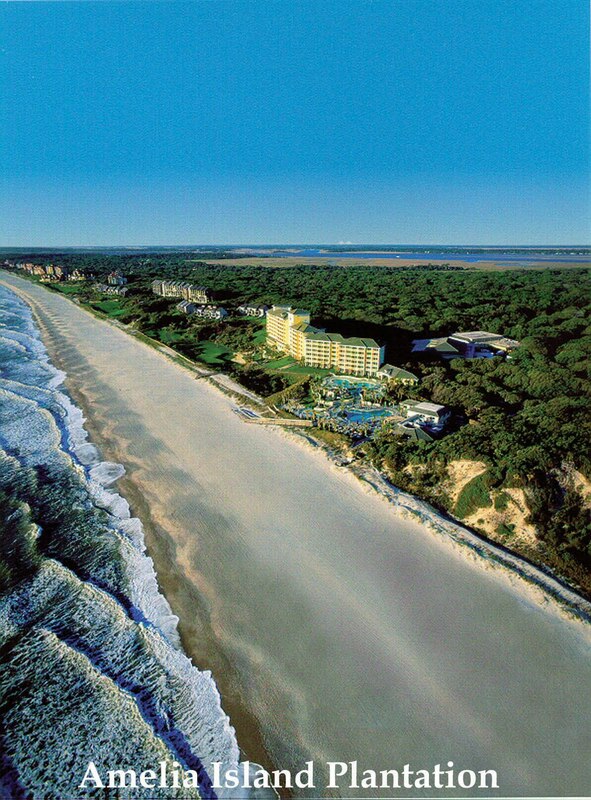 www.ritzcarlton.com/ameliaisland. Memories are on the itinerary August 5-8 at the Amelia Island Williams House bed and breakfast "Scrapbooking Retreat" package - a three-night stay, breakfast and lunch daily, a goodie bag filled with Close to My Heart products and a company consultant sharing ideas and prizes all for $350 per person, double occupancy. www.williamshouse.com. Almost every accommodation on the island is giving away rooms during the "Free Night, Any Night" promotion, www.ameliaisland.com/free. Even if the recession isn't over at your house it's hard to pass up such good deals. 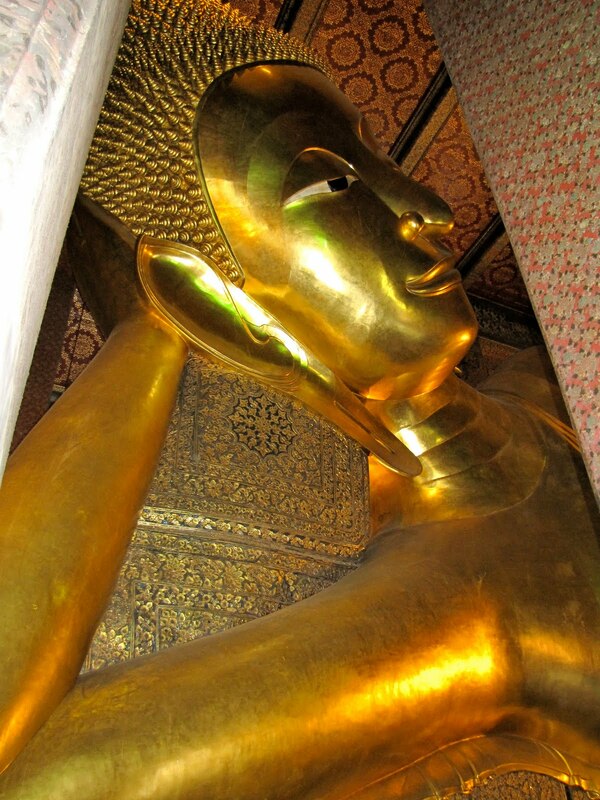 A holiday in Bangkok with its attractions, foods, massages and vibrant street life and nightlife is a dazzling experience for Westerners. Levelers will love it because it is flat and the more contemporary temples don't come with four flights of steep, narrow stairs. Tip: There are stairs to the temples but I never counted more than eight. So have a cold coconut. My one caveat: It is hot. The only thing hotter than the temperature is how your mouth feels after eating Thai food at native spice levels and you'll have to ask several times for that. But back to the weather. Not just hot but walk across the street and sweat profusely hot. Thais know this. 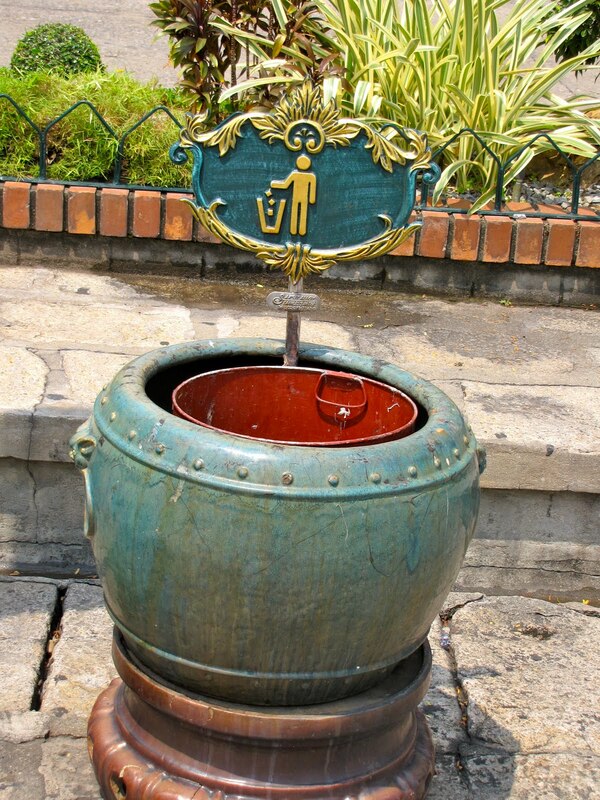 Tour companies provide cooled towels and ample water, but it is at best a temporary alleviation. Change and wash clothes three times a day; shower yourself three or four times. Pack accordingly or do as one friend did, keep buying cheap T-shirts. The other consideration: Bangkok is big. Huge and teeming with people (at least 8 million of the 10 million residents seem to be cooking, selling, walking or eating on the sidewalks), traffic, buildings, wires and incomprehensible signs. Fortunately taxis are cheap and tuck-tucks are cheaper. Use them. Also use tours, especially when taking side trips outside the city. Warning: The skyway is modern, air conditioned, cheap and convenient, but there are stairs. Sometimes escalators, but always stairs. Many, modern, elegant or efficient. I stayed at the Pullman Hotel, adjacent to the huge King Power Duty Free complex and near Victory Monument, where I was attending the meeting of the Society of American Travel Writers' Freelance Council. We liked our rooms, loved our beds the few hours we had to crawl into them but found it a lo-o-o-ng walk from the hotel's front door to the elevators; a consideration when you are weary, footsore and worn out from a day of sightseeing. I had two memorable meals in Bangkok, dinner on the street in the Nana area and lunch at the elegant waterfront restaurant Supatra River House. 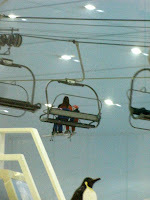 Wherever you look it is entertaining. The city is a no-ring circus with life and activity occurring everywhere and all the time. My not to be missed list includes the following. Grand Palace. Indescribably beautiful, opulent, colorful and fascinating. Photos won't do it justice which is a good thing because I learned a painful but valuable lesson here: Don't believe what you read in guidebooks, even those put out by a country's tourist authority. 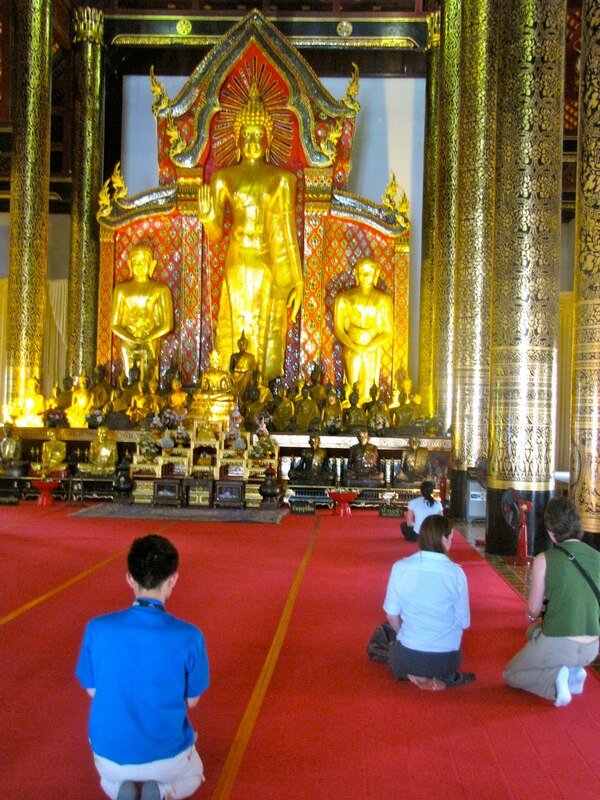 Photography is banned in several buildings, notably the Temple of the Green Buddha and buildings used by the king. However, the guidebook said if you stand just outside the doorway and your camera has a long enough zoom lens, frequently you can get a decent picture. I tried that successfully with the Green Buddha and at one other spot. Then, as I ended the self-guided tour during which I had shot at least 100 images, I came to the King's Coronation Room. After gazing upon his gilded throne I left, turned around and snapped off a photo at which point the armed guard jumped from his chair, grabbed me and ordered "Delete! Delete!" repeatedly until that and all of the day's other photographs had been removed. Wat Po and Wat Arun. 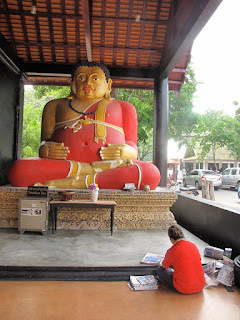 Wat Po contains the humongous and impressive Reclining Buddha and is Thailand's first open university, the temple where Thai massage and many Eastern healing methods evolved. Nearby you can get a Thai massage from the professors at at Wat Po Massage School, where the manuscripts and lore were assembled and organized courses of learning were first developed. Wat Arun, the Temple of Dawn is beautiful but you will encounter stairs. See it from the water at sunset. 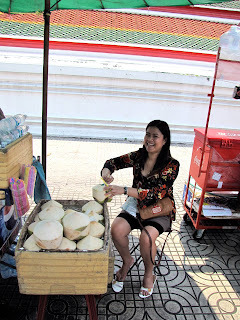 Khlong tour/Floating Market. 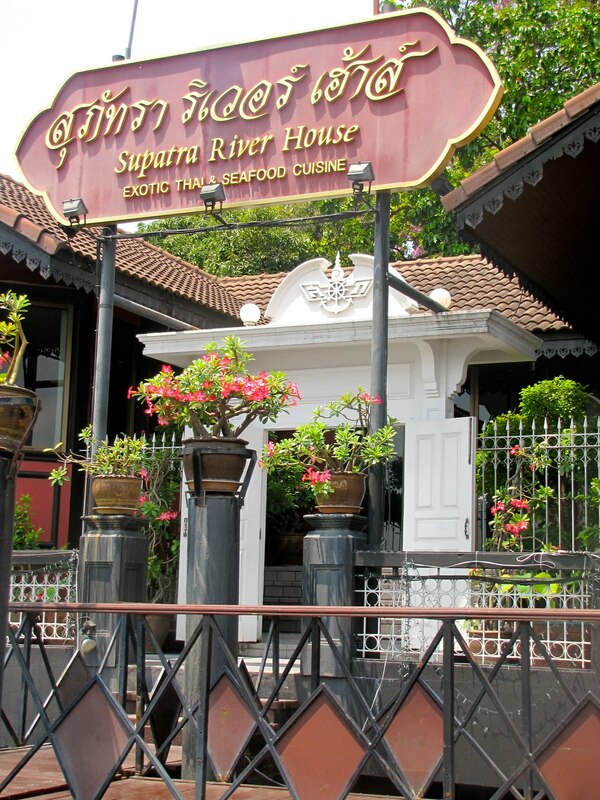 You shouldn't miss the river life along Chao Phraya River and its tributaries. Tip: Get to the floating market early - by 7 a.m. - if you want to see anything besides tourists. 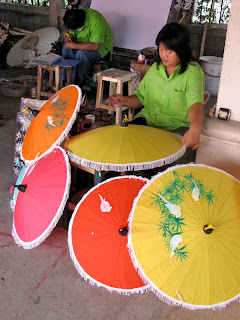 Chatuchak Weekend Market. Largest outdoor market you are likely ever to see. Buyer beware but buyer have fun and photographer, keep lots of spare batteries handy. Drink lots of water, everyone. getting a feel for what life here is like. It's the only place you are likely to encounter Pad Thai, Americans' favorite Thai food. 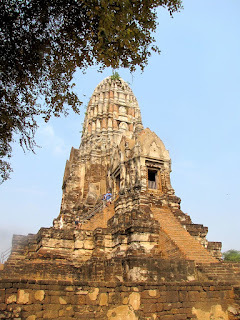 Ayutthaya. 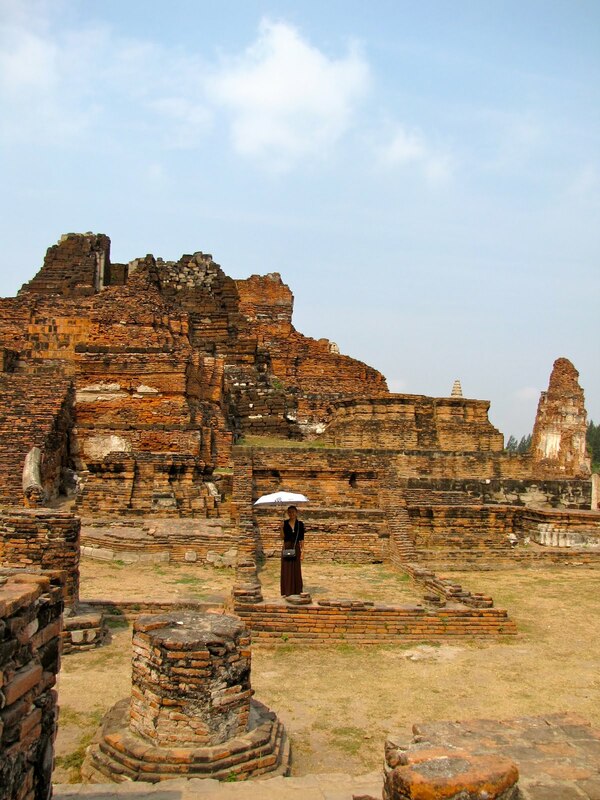 A UNESCO World Heritage site, this was the capital of Thailand for 417 years. It will be a day trip to see even a few of the sections of this 14th-18th century complex but well worth the expense and effort. Tip: The nimble kneed can climb the countless stairs but you can have just as satisfying an experience staying on the flat - if uneven - or occasionally tackling a few of the easier elevations. 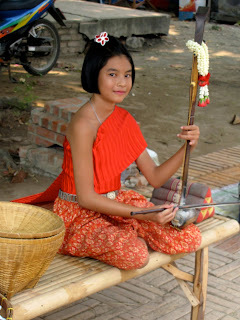 Whatever you see, the Thai people, their ever present smiles and their knack for beauty and hospitality will win you over. 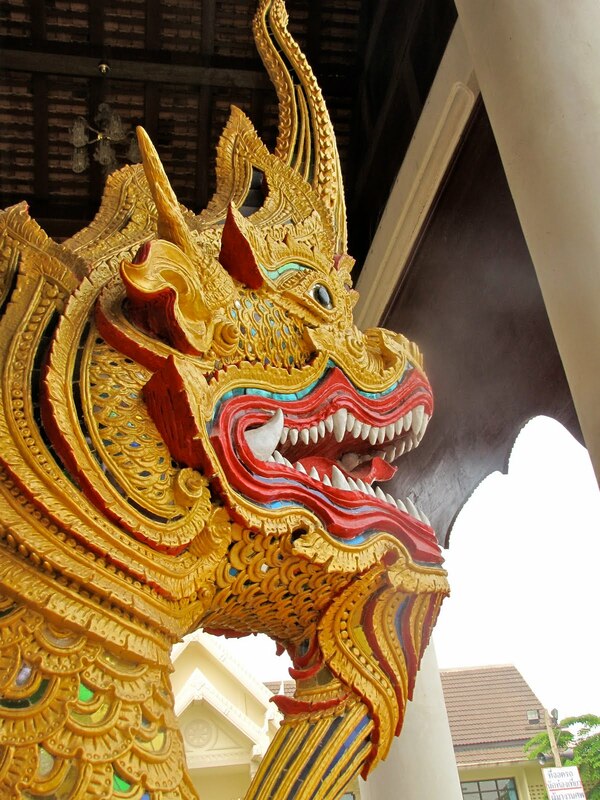 Get a good bite of Bangkok from its palaces and its temples, massages and street food and the heat be damned. You'll want to return for more. Travel to Dubai is easy when you fly Emirates to points in Asia. 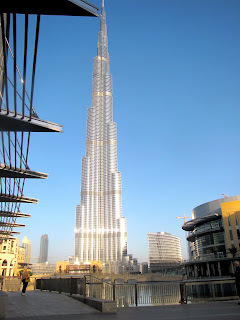 Pick a Dubai hotel, select a tour and break your long journey with a fascinating look into the United Arab Emirates. Levelers will travel safer by making a stop. Tip: If you have special needs or could use help getting around, there's a special desk for you between rows A and B in the Departure Hall. There are also electric carts to assist in getting from one concourse to another. I call it Arab easy. The Dubai airport is beautiful and efficient, the city is flat and residents - only 15 percent of whom are Emiratees - are more tolerant of Western-style dress and behavior than in other parts of the Middle East. Not that you want to be an ugly American - or Brit, Canadian, German, etc. Dress modestly and no smooching in public. You still will be able to roam gold and spice souqs, learn about customs, see what can be accomplished in a mere 30 years and hear the captivating call to prayer that reminds every resident of every Muslim city and village what truly matters. If flying from the U. S. or Canada, you will arrive in Dubai at night, just time for a look-around, a dip in the pool, a light bite and a good night's sleep. Wake the next morning refreshed, breakfast, tour, shop and enjoy one more night's sleep before catching an early morning flight eastward. Getting around is easy. As I said, surfaces are flat, stairs are few, elevators and escalators proliferate. Cabs are inexpensive and there is a modern skyway, Metro Dubai, that no one seems to use. I wanted to but there wasn't time. By all means hop on an abra, a traditional water bus, and cross "the creek." It's fun, breezy and easy. If you start on the beach side it will put you right at the spice and gold souqs which are easy to navigate. Ride the Big Bus and tour the city - the red route takes you through the city, the blue route to the beaches and Mall of the Emirates. Tip: Probably due to heat as well as cultural influences, there is no walking culture in Dubai. Everyone expects to ride in an air-conditioned vehicle to an air-conditioned destination whenever possible. Expect the exceptional and prepare for the superlatives - world's biggest, fanciest, best, newest, most luxurious. Although always a stop for traders, Dubai is modern; the buildings you see weren't begun until after 1971 when the UAE was formed. And what buildings - curved, twisted, sail-like, taller than tall and sprouting like weeds. You can't miss the Burj (Tower) Khalifa, the world's tallest building, but no word yet on when the observation deck will be open to visitors again. It wasn't when I was there. To see this striking tower, go to the Dubai Mall, the biggest in the world and the one with the aquarium, for the best view and photo site. There's a pudgy Botero horse there too. Of course you can't miss the ski slope within the Mall of the Emirates. Speaking of shopping, there's a whole festival devoted to it (January and February) and there are no taxes. As if you needed an excuse. Better for an unforgettable overview and panorama, make reservations for lunch, high tea or dinner at the Burj Al Arab, Jumeirah's flagship and the world's first seven-star hotel. Try to arrange a tour of its all two-story suite accommodations and spectacular restaurants. You won't be able to just walk in; advance reservations are required. 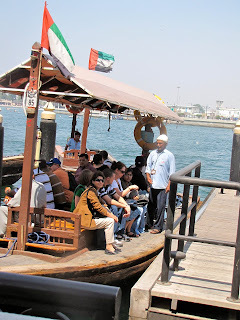 Hit the water - the beach to relax, the creek for its hustle and bustle, the Gulf for a cruise around The Palm Jumeirah. 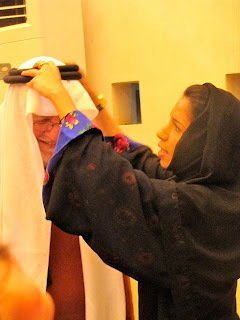 Find out more about Islam, life in the Emirates, why women cover themselves in black or how men tie their headgear at the Sheikh Mohammed Centre for Cultural Understanding. Theirs is an open doors, open minds policy. All questions are answered in a non-threatening environment; I found it fascinating. 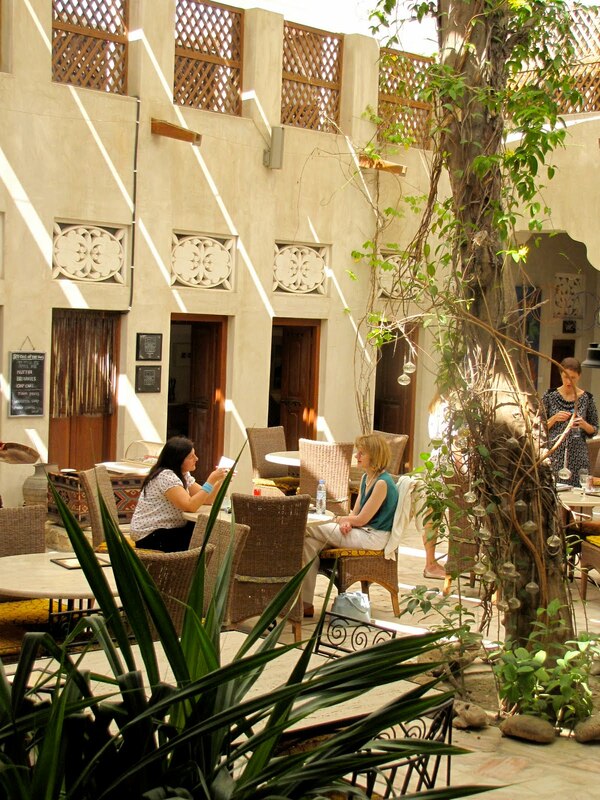 Catch the excitement of creativity at Bastakya, a new complex of traditional Arab style architecture with museums and galleries. Don't miss XVA Gallery, http://www.xvagallery.com/, its thought-provoking exhibits and its lovely courtyard cafe. This will keep you going for a day and then some and I haven't mentioned sports and festivals, two other Dubai specialties. Next visit, my plans are to take in the horse and camel racing, indulge in a desert safari complete with dune-bashing and camel riding, savor Art Dubai and catch the International Horse Fair. Dubai's 352 hotels are modern, high-tech and beautifully decorated. Whether three-, four-, five- or seven-star, you can count on a hospitable welcome. Yes, it would be lovely to stay at Jumeirah's Burj Al Arab if the $2500 per night price were no object. I've seen the suites - living, dining room downstairs, palacial bedroom and bath up - and talked to those who have stayed there and they rave on and on and on. Tip: Levelers, there are suites with elevators if you'd rather not bother with a grand staircase. 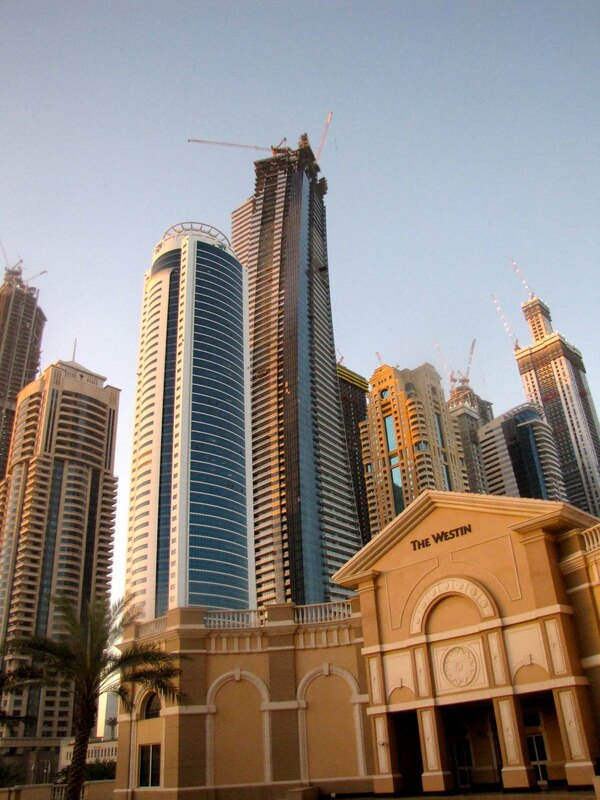 The Westin Mina Seyahi overlooking the gulf was exceedingly comfortable and you can find every hotel chain in Dubai, from Holiday Inn to boutique hotels to where else, the Burj. Like Las Vegas, another made from scratch city in the desert, Dubai was designed for tourists and I can't wait to be one there again, testing more of Dubai's hotels and tours before traveling through the rest of the Arab Emirates. Dawn over the Persian Gulf - and the last moments before the heat descends. 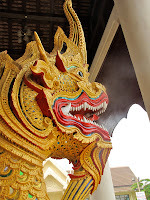 Sorry about the gap in blogging, Levelers, but I have been in Dubai and Thailand looking for hot stuff in these two very hot places. Steamy is more like it. As one travel writing colleague remarked, "I want the air conditioning in my room so cold I can open the refrigerator and feel the heat!" No surprise that many returned with colds and congestion as well as jet lag. We're back, though, with lots to write about so stay tuned.